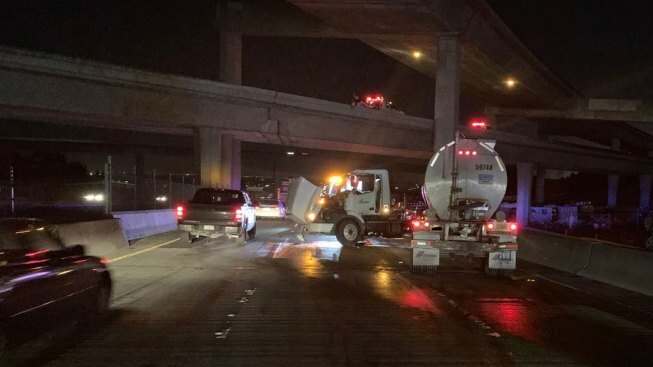 Motorists should expect delays Friday morning in the area of northbound Interstate Highway 238 in Hayward, where a disabled big rig has been towed away but crews are still working on cleaning up diesel fuel. As of 7:30 a.m., the California Highway Patrol said there was no estimated time to reopen two lanes closed due to the spill. No injuries were reported in the wreck, which happened shortly before 4 a.m. when a big-rig and a car were involved in a collision on I-238 north of eastbound Interstate Highway 580. Crews were cleaning up fuel and diesel fluid that leaked from the truck, the CHP said. Due to the blocked lanes, trucks are being allowed to use I-580, the CHP said.